Experience the luxurious benefits of chartered flying with flexible departure times, a tailored itinerary, first class service and private terminals. We can tow groups of up to 300 people anywhere in New Zealand, Australia and the Pacific. Whether you are planning a short day trip, weekend tournament or two week tour, we can create the ideal itinerary for you and your team, with the perfect aircraft to suit. You are guaranteed to make an entrance in our immaculately presented aircraft. We pride ourselves on the presentation of our aircraft and pilots to offer you the experience of a lifetime, from stepping on the aircraft to exiting in style. Imagine your favourite annual event. Remember the excitement as your favourite musician steps on stage or the cheers as the All Blacks take the lead. Now imagine making the rest of the day into an equally unforgettable experience. 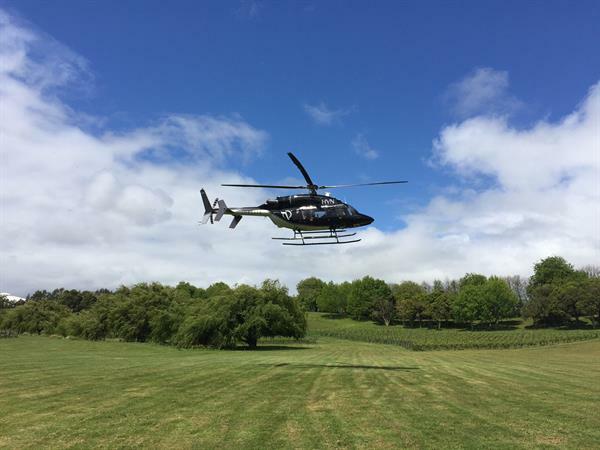 Imagine flying via private helicopter to your event and stopping over on a mountain to find a bottle of chardonnay waiting there for you. Or imagine throwing a helicopter, a boat and an island into the equation. These are some of life's unforgettable moments. If the big event is coming up soon, don't delay in booking your dream entrance. Talk to our specialists about your plans and let them worry about the logistics. Arrive at your destination feeling refreshed and ready to perform, whether you are a top sports team or a musician. Our helicopters transports producers quickly and without stress, all in the lap of luxury. Our fixed wing aircraft transports large groups with ease and comfort. All your expectations will be exceeded by our onboard concierge. Create lifelong memories before arriving at your event by travelling in a luxurious private aircraft. Our aircraft are presented immaculately to ensure a super star arrival.